Telephone answering services can lower your operating costs and improve your customer service. 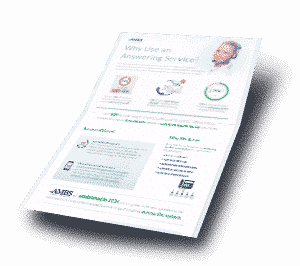 Is an answering service right for your organization? This handy infographic quickly shows the benefits you’ll get from partnering with a call center. See how much new business you’re missing out on without an answering service. Find out how a call center can support multiple business operations. Get information about our outstanding service. See how your organization can do more for less. Fill out this form to get your infographic. © 2011-2019 Ambs Call Center. All Rights Reserved.